← Seed Sale Now On !!! 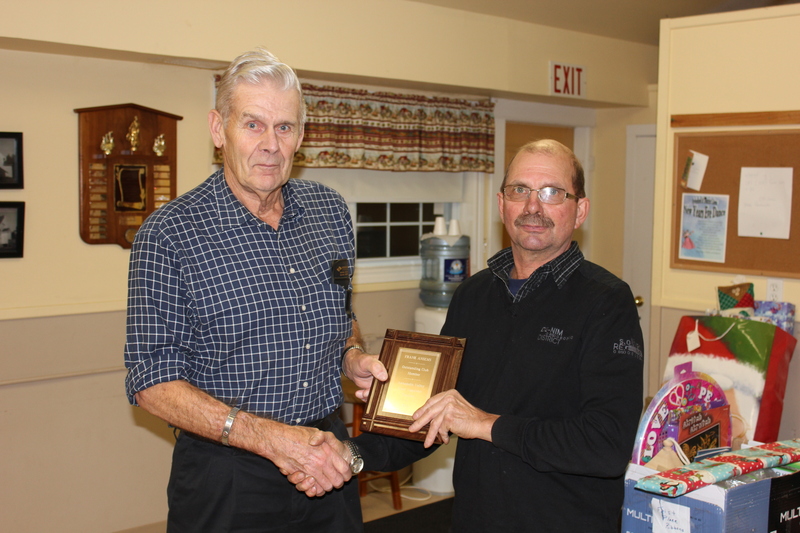 As part of our December meeting, the past few years we have chosen one member to receive the Outstanding Club Member Award. The award is to recognize an individual whom has shown to be an active member who has helped develop our club to what it is today. Our club has a lot of excellent members and to choose one each year is not an easy task. Frank Ansems is our choice this year. He is always ready and willing to do whatever for the club. He is a big help at the weigh-off setting up and taking down displays and such. Frank is also a judge for the entries that requires judging plus he helps with the measuring and weighing. He also offers delivery services for long gourds and any other entry items. Frank is also one of our elite growers and always does well at the weigh-offs being near the top on a regular basis. 2014 2nd Long gourd – 122.75”. Frank is a competitive grower but yet helpful to all who ask and that is why we award him as “Outstanding Club Member, 2016”. We would ask that his wife, Marilyn, also come forward for the presentation, as we all know that she is a positive influence on Frank.